ISO 27001 is one of the most recognised standards for Information Security Management and is part of the globally respected ISO suite of Management System Standards. Since the introduction of the ANNEX SL framework, organisations already certified to one ISO Management System Standard will now find it easier to comply with other ISO standards, such as ISO 27001, due to a common clause framework across ISO standards. Certification demonstrates that you have a robust management system to comply with the latest security, privacy and compliance requirements for today’s digital age. Blue chip companies, global cloud service providers and small to medium sized businesses are aware of the risks of cybercrime and the havoc it can cause an organisation. Google Cloud is one organisation that has realised the value of regular independent third-party audits of security, compliance and data processing frameworks needed to achieve ISO 27001 certification. You don’t have to be as big as Google to benefit from ISO 27001 certification. 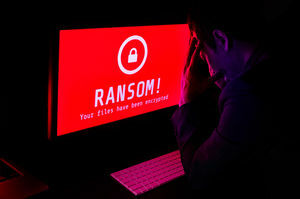 Recent research by Beaming (UK Internet Service Provider) showed that in the UK, small businesses bore the brunt of £17 billion worth of cyber-attacks in 2018. ISO 27001 is as relevant to small businesses as it is to large organisations and provides a framework to protect SMEs from outside attack and internal errors by employees. With more businesses relying on cloud services, choosing the right provider and assessing how your employees share information requires a high level of control to ensure data is not inadvertently shared with the wrong group of people, or worse, publicly. Whether you have your own self hosted IT or you rely on cloud-based services, having regular independent third-party audits of your Information Security Management Systems (ISMS) will protect your IT network from a range of events. Part of the certification process is to identify the information held, look at the risks and threats and put in place a framework to minimise a breach. Loss of data can come from many sources and can include hackers, your own employees and natural disasters such as fire and flood. Having a system of checks and controls will help to prevent a breach and provide procedures to minimise the impact of a loss. To minimise your risks of falling victim of an inadvertent click on a phishing email by an employee, a deliberate cyber-attack or a natural disaster, call ACS Registrars on 0121 241 2299. With schoolchildren striking over climate change around the world, is it time for businesses to look at more ways to reduce their own environmental footprint? Global warming and the destruction of wildlife habitat are the two main challenges facing the planet and we are told that action needs to be taken now or the effects will be irreversible. Around the world, fears are growing for the existence of some low-lying countries - most of the 1,000 or so Marshall Islands, covering 29 slender coral atolls in the South Pacific, are less than six feet above sea level - and the future of a great number of coastal cities, including Miami, New York and Venice. The full speech is well worth reading and is backed up by scientific evidence. 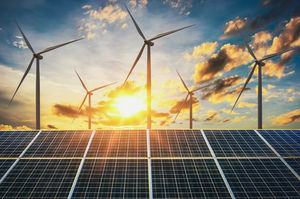 There is still time to act; the government has made commitments to cut greenhouse gas emissions and move to renewable energy over the next 30 years. Every business can make changes, however small, to create a more sustainable workplace. This does not have to mean additional costs, in fact, making selective changes can lead to efficiency and cost savings. Where do you start? Have you got the necessary expertise in-house to manage these changes and at a high enough level to drive the changes through? You will need someone with knowledge of environmental compliance and the ability to identify where improvements can be made and cost reductions achieved. Energy saving devices for lighting and heating. Use sustainable energy from your utility supplier. Use recycled materials and recycle your waste materials. The ISO 14001 environmental management system offers a solution to help organisations meet their environmental responsibilities and operate more efficiently. ISO 14001 consultants have years of experience working in all industry sectors and can bring a wealth of knowledge together with tried and tested methods of best practice. The most effective ISO 14001 frameworks are audited by external UKAS accredited certification bodies. This provides credibility when you need to demonstrate your commitment to the environment to customers or your supply chain. One of the revisions to the ISO 14001 environmental management system is the importance of leadership from top management to ensure the environmental and business strategies are aligned to maximise benefits. Whether you use an external consultant or an internal resource, they will need to report directly to the business owner or CEO to drive the policy forward. Establishing an environmental management system to meet ISO 14001 is an effective way to reduce the environmental footprint of your business and meet your company goals. When businesses think about occupational health and safety, they tend to focus on the safety aspect of employees while carrying out their roles within the work environment. The prevention of accidents through risk assessments, employee training and implementing controls that minimise hazards in the workplace are some of the areas they tend to focus on. However, we are hearing more about mental health problems on the news and in social media. The illness no longer has the same stigma attached to it and sufferers are more inclined to discuss their problems. Thanks to this awareness, employees are being encouraged to share mental health problems with their employers before their condition gets critical. Colleagues are more inclined to help sufferers in the same way they would support a physical injury. Many companies now include mental health and awareness training as well as health and safety courses. In England a sixth of the population between the ages 16 to 64 have a mental health problem. Between 1993 and 2014 there has been a steady increase in people with severe symptoms. “Contains information from NHS Digital, licensed under the current version of the Open Government Licence”. In a report published in an independent review of mental health and employers titled “Thriving at work”, poor mental health costs employers between £33 billion and £42 billion a year, with an annual cost to the UK economy of between £74 billion and £99 billion. Giving similar priority to mental health and wellbeing that is given to prevention of accidents, makes sound commercial sense. The migration of OHSAS 18001 to ISO 45001* provides an ideal opportunity to review all your health and safety procedures at the same time. The emphasis on a risk-based approach with leadership from top management and increased employee involvement will help organisations establish the changes needed to provide a safer working environment and healthier workforce. Though the new ISO 45001 standard includes mental health within occupational health and wellbeing, it does not go into detail. It will be up to individual leaders within the organisation to implement systems that will increase awareness, train employees and maintain processes to provide the support needed by staff with mental health issues. Issues buried from an early age. Personal problems at home such as a bereavement. Stress or anxiety at work. 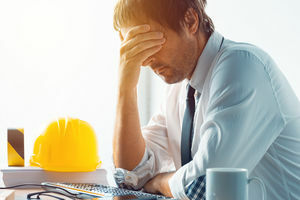 Some industries are particularly prone to stress; the Office for National Statistics highlighted that between 2011 and 2015 more than 1,400 construction workers took their own lives. As awareness of mental illness increases and the problems posed by a more mobile and insecure workforce (no jobs for life) grow, it is likely that mental health issues in the workplace will continue to climb into the future. Businesses will have to get to grips with improving the health, as well as the safety, of their workforce. *Footnote: OHSAS 18001 is currently being migrated to ISO 45001. A 3-year migration period is now in progress ending on 12th March 2021. After this date OHSAS 18001 will be withdrawn. One of the key changes to the revised ISO 9001 and ISO 14001 standards and the migration of OHSAS 18001 to ISO 45001 is the increased priority given to risk-based thinking across all areas of an organisation. The changes to these standards require a pro-active approach by management and particularly top management, to identify and manage the risks associated with the operations of the organisation. If you are not already aware, ISO 9001 and ISO 14001 revisions are complete and all audits are now carried out to the revised standards; old certification prior to September 2018 is now invalid. OHSAS 18001 is currently being migrated over a period of 3 years. The final date for migration to ISO 45001 is 12th March 2021. Risk is inherent in every organisation; whether you are a business or institution, profit or non-profit, every decision made and operation undertaken involves an element of risk. Risks to employees and customers from health and safety issues. Risks from disasters such as fire and flooding. Environmental risks from business operations. Risks associated with industry regulations. Security risks to physical structures including IT infrastructure from cybercrime. Risks to the financial security of the organisation. 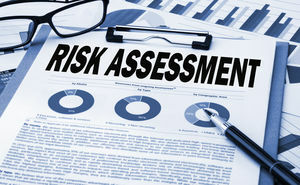 Preparing a risk management plan will help you to achieve certification to the above standards. It will also provide the organisation with a framework to identify risk, assess the frequency and impact of the risk and work out a process to manage the risk. Time and resources need to be allocated to the process by top management and implemented throughout the organisation. An effective plan will increase profitability, reduce costly incidents and create a safer environment for your employees. A list of risks that could affect all areas of the organisation. An analysis of the risk and rank the likelihood and level of effect. How you will manage the risk. Implementation of ongoing monitoring and reviewing. Depending on your organisation, a good way to start might be by setting up a risk matrix to rank the risks you have identified. Ranking the impact of a risk on the organisation between a range of “negligible” to “critical”, for example, and including an estimate of the financial loss and the disruption it would cause, will provide information to help you to manage and minimise the risks going forward. The above could provide the framework that your ISO auditor will be looking for when they audit your organisation for certification to the revised standards. If you need help with your risk management planning, call one of our team on 0121 241 2299. The ISO 27001 information security management system provides your organisation with a framework for improving and managing your valuable data. Cybercrime is a growing problem and will continue to put organisations at risk of a security breach. This could have devastating consequences for employees, customers and business partners. Many organisations are ISO 9001 certified and see this standard as a basic requirement for doing business and meeting customer expectations for quality and management. Far fewer companies have achieved certification to ISO 27001; however, a data security breach could potentially be just as harmful to your profits and reputation as the quality failure of a product. Customers expect their data to be protected and if their details get into the hands of cyber criminals, the ensuing adverse publicity and damage caused to reputation, not to mention the cost of fixing the problem, makes the argument for prevention an obvious choice. One of the latest widely reported breaches involved the Marriott hotel chain. Despite having cybersecurity insurance, the cost is still expected to run into millions over the coming years. The introduction of GDPR also took data protection to a new level, requiring organisations to comply with the regulations or face large fines. ISO 27001 provides the framework to mitigate the risks and meet the requirements of the latest regulations. Certification to ISO 27001 which has been audited by a 3rd party such as a UKAS accredited Certification Body will provide the reassurance that the management framework and information protection system you have adopted is robust and regularly audited. This demonstrates to customers your commitment to maintaining an effective system of controls and organisational processes that will keep their data safe. It will meet regulatory requirements that may be needed by your own industry and any wider obligations such as GDPR. ISO 27001 certification will also give you a competitive advantage when you are tendering for new contracts, especially if your competitors do not have such a framework in place. If your organisation relies heavily on data, you have sensitive data that could be used by cyber criminals, your competitors have ISO 27001 or similar or your sector is highly regulated, you will have to gain some form of information security certification. If you are going to go through the process of certification, it makes sense to go to the next step and have your information security system audited by a UKAS registered Certification Body. This will provide an independent and impartial assessment of your framework and processes. UKAS accreditation has international recognition and will ensure your certification is given maximum credibility when it is issued. Certification bodies accredited by UKAS will have been assessed to provide the competence and impartiality required to provide you with a robust framework for now and into the future. Alternatively, contact one of our fully qualified lead auditors for more information.